Lanell Johnson's path to a kidney transplant wasn't easy. But now that she's received a new kidney and is enjoying a return to good health, Lanell and her husband are eager to move forward. Lanell Johnson takes pride in what she calls her battle scars — the result of her long journey to a successful kidney transplant at Mayo Clinic. "My scars tell a story," she says. It wasn't necessarily the surgery or the resulting scars, however, that caused the 46-year-old from Elkhart, Kansas, undue pain or distress. She took all that in stride. It was the process of getting there. Lanell was diagnosed with polycystic kidney disease — an inherited disorder in which cysts develop in the kidneys causing them to lose function over time. Polycystic kidney disease runs in Lanell's family, and few were spared its consequences. But Lanell's sister, Vicki, eluded the challenges of the disease. That turned out to be fortunate for both siblings. Vicki, also from Elkhart, became Lanell's kidney donor. Her donation — and the transplant that followed it — changed Lanell's world, which had been fraught with health struggles for three years. Fortunately, she was not alone in her medical odyssey. 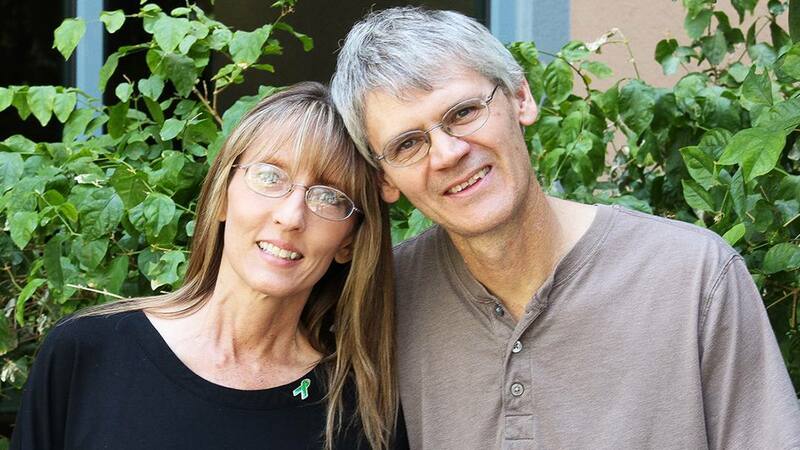 Eric, her husband and loyal caregiver, describes their journey together as a "long roller-coaster ride." Read the rest of Lanell's story.